Washington High School totals 113,505 square feet over four stories. Anchor tenant New Seasons Market occupies the entire fourth floor and half of the third floor for their corporate offices. Other tenants are Copious Creative, Brink Communications, Struck Creative, Archrival, Cast Iron Coding, Switchboard, Harvest PR & Marketing, Sensu, Nonstop Administration and Insurance, Murmur Creative, Roboboogie, The 211 Collective, Snapshot, attorney Sean Riddell and Revolution Hall, Martha’s and The Assembly Lounge. There is a large ground-floor suite available. 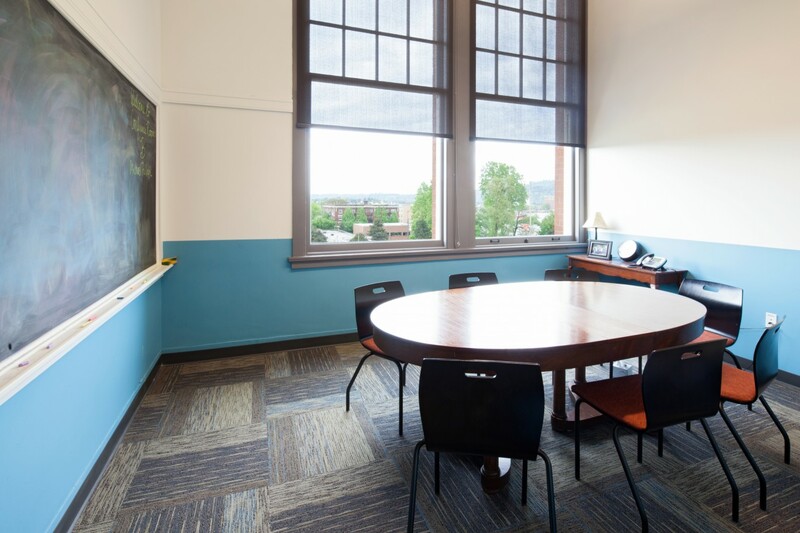 For all tenants who lease space at Washington High School, the building includes ample interior bike parking with shower rooms, secured after-hours entry, new shared ADA restrooms, common area trash/recycle room, and a generous roof deck. The property has some off-street parking available to tenants by permit. Salvage and reuse of doors, windows, trim, terracotta, lockers, and other original building items. 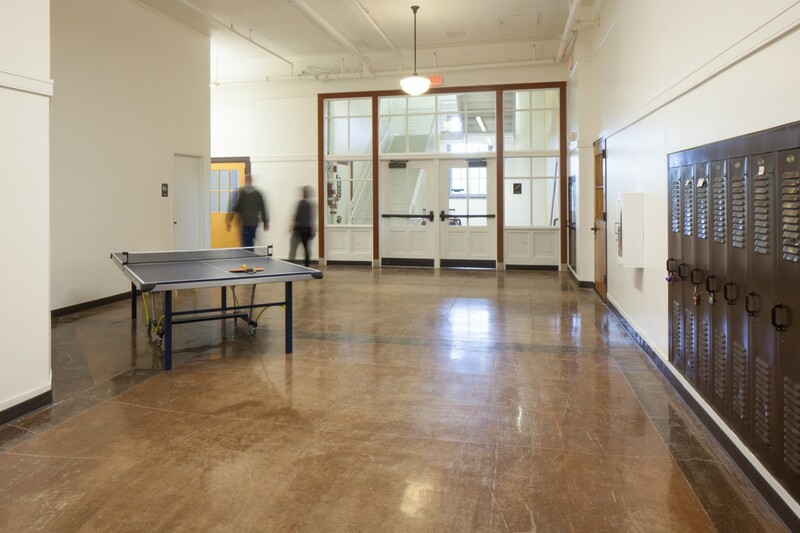 Washington High School is located in Portland’s Central Eastside—a thriving, 24-hour scene where restaurants, bars, retail, offices, and housing all happily co-exist in an unbeatable central location. In recent years, the area has become an incubator for hundreds of creative businesses looking to grow within Portland’s central city. 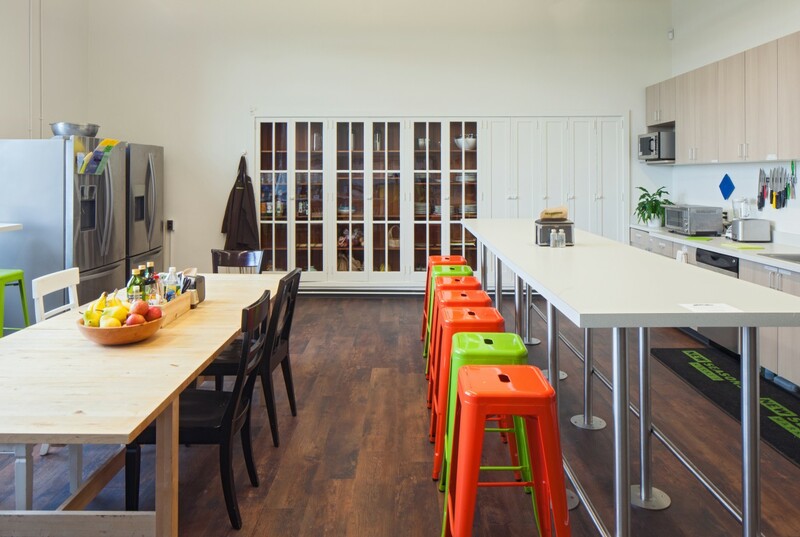 The school building is situated on the cusp of the Buckman residential neighborhood, which boasts an active and youthful population that values sustainability, local business, bike commuting, and all that urban living has to offer. Just seven blocks from the Portland Streetcar line and one block from a frequent-service bus line, Washington High School is a transit-friendly destination. Even better, the building has a walkscore of 86 and a bike score of 98. Within a couple of blocks, tenants and visitors will enjoy some of Portland’s favorite businesses and hangouts including Sweetpea Bakery, Meat Cheese Bread, Floyd’s Coffee, Herbivore Clothing, Roost, Rimsky-Korsakoffee House, Smokehouse Tavern, and Nostrana. 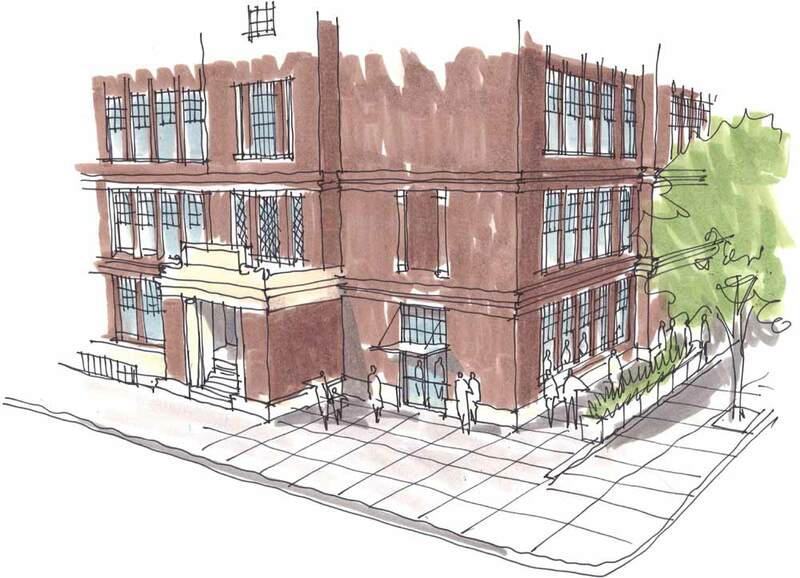 In addition to the redevelopment of Washington High School, the Central Eastside has other developments in the works, including 152 new apartment units at SE 11th & SE Stark, the Portland Development Commission’s five-city-block Burnside Bridgehead project, and the highly-anticipated ODOT blocks. The neighborhood just keeps getting better.